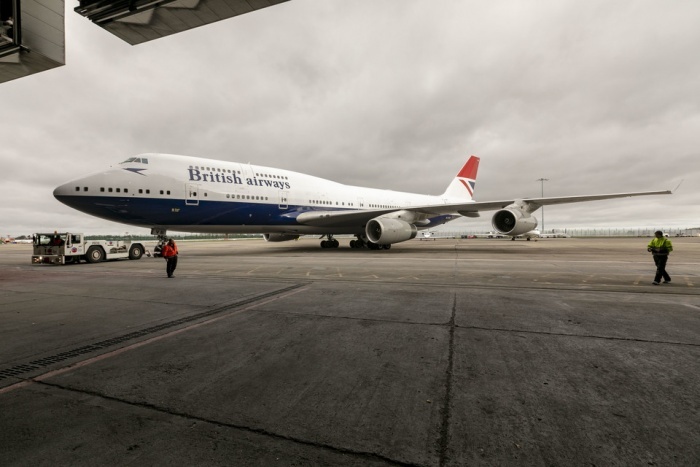 The fourth and final British Airways aircraft in a heritage livery has touched down at Heathrow. A Boeing 747 painted in the Negus design, which was originally on the fleet from 1974-1980, arrived earlier. Enthusiasts around the world have already been treated to a British Overseas Airways Corporation liveried Boeing 747, a British European Airways Airbus 319 and a British Airways Landor 747, which have collectively flown to more than 30 destinations across the UK, Europe, Africa, the Middle East and North America. The special series of designs have been introduced to mark British Airways’ centenary, as the airline celebrates its past while looking to the future. Alongside the heritage liveries, all new aircraft entering the fleet, including the A350, will continue to receive today’s Chatham Dockyard design. Alex Cruz, British Airways chairman, said: “Reintroducing four heritage designs in to our fleet has been an incredibly nostalgic time for us and our customers, we’re impressed at how popular they’ve been. When it initially flew, the Negus livery was the first to carry “British Airways” since 1939, when the original British Airways Limited merged with Imperial Airways to form BOAC. Interestingly, the Union Flag is not present on the side of the aircraft as, like the final BEA aircraft livery, the flag began to be fully celebrated on the aircraft’s tailfin instead.